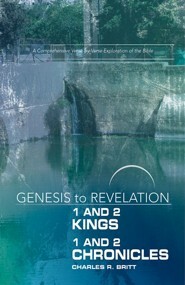 Part of the Genesis to Revelation Series from Abingdon Press, this 13-session study of the books of 1&2 Kings and 1&2 Chronicles begins with Solomon and ends with Hezekiah and Josiah. The major ideas explored are the accomplishments of Solomon, Elijah and Elisha, the decline of Israel, David the great king, the ark of the covenant, the temple and its rituals, the divided kingdom, and Judah's kings. Study the books of First and Second Kings and First and Second Chronicles, beginning with Solomon and ending with Hezekiah and Josiah. Some of the major ideas explored are: Solomon's accomplishments, Elijah and Elisha, the decline of Israel, David the great king, the ark of the covenant, the temple and its rituals, the divided kingdom, and Judahs kings. 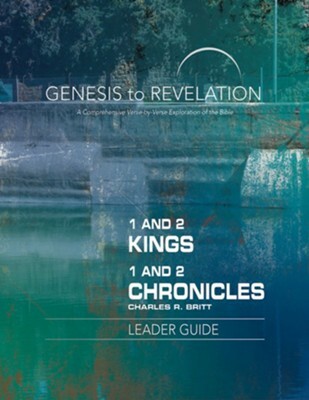 I'm the author/artist and I want to review 1&2 Kings/1&2 Chronicles, Leader Guide (Genesis to Revelation Series).